Support for Government Contractors | Right Start Consulting, Inc. Support for Government Contractors | Right Start Consulting, Inc. Right Start helps government contractors win government work, scale up operations to fulfill contracts, and prepare for continued success after they are no longer small, disadvantaged, or 8(a) businesses. Our skilled experts have a proven track-record of partnering with government contractors to achieve quick wins and long-term success. Right Start helps small and disadvantage businesses successfully navigate the government procurement process. 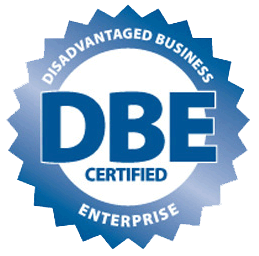 Our business development specialists work with firms across all socio-economic statuses, such as small, minority-owned, women-owned, veteran-owned, service disabled, HUBZone and others. We help these firms market their capabilities, identify teaming partners, and develop winning proposals through an integrated business capture strategy. Right Start provides 8(a) firms a specialized suite of services to help them navigate the 8(a) program cycle. For example, Right Start works with firms entering the program to map their commercial capabilities against public-sector opportunities while identifying teaming partners that complement the new 8(a)’s past performance. Right Start helps firms nearing the end of the 8(a) program to prepare for graduation by helping them improve operational efficiency, enhance their talent pool, and align their capabilities with adjacent growth opportunities. GSA Schedules are oftentimes compared to hunting licenses as the award of a GSA Schedule is but the beginning of the journey to secure government work. Firms must invest resources in the pursuit of opportunities that use their vehicle, but the task can be daunting. 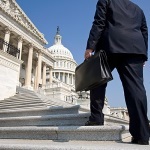 As a result, many GSA Schedules are under-utilized and eventually terminated by the GSA. Right Start helps GSA Schedule holders monitor and pursue opportunities available to them through their schedule(s), ensure that they remain in compliance with GSA rules, modify and renew their schedules, and prepare for GSA Audits. Right Start also supports firms who have grown beyond the small business designation and must now compete among large firms. Our professionals help these firms design strategies to transform the capabilities developed as small businesses into efficient platforms for new revenues. Our work focuses on optimizing cost structures to drive competitive pricing, focusing the business on areas with strong competitive advantage, and enhancing marketing and capture strategies to increase the ROI of business development activities.